Aqua Computer RGB LED Strip with 60 LEDs per meter, color-coordinated to the farbwerk controller. 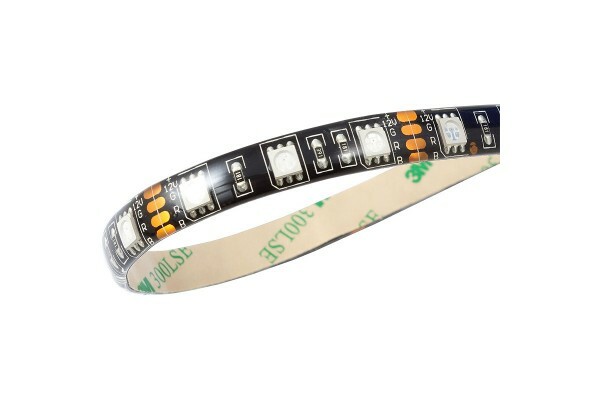 The strip can be devided every 5 cm / every 3 LEDs. The cut surfaces of the strip are not waterproof and must be sealed with silicone if necessary!